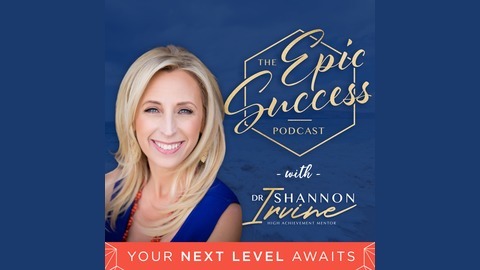 In this show, Dr. Shannon and her guest experts share actionable strategies and practical steps to master your life and business so you achieve Epic Success! From proven systems to achieve big goals, master productivity and time management shortcuts, to achieving mindset and habit mastery, leadership prowess, motivation strategies, and believing God for dreams for your Epic life and Business. Grow Smarter, stronger, happier, more integrated, faith filled, and build an Epic Life and Business that you LOVE! One equation I know to be true is Big Vision + Brand Visibility = Outstanding Opportunities! 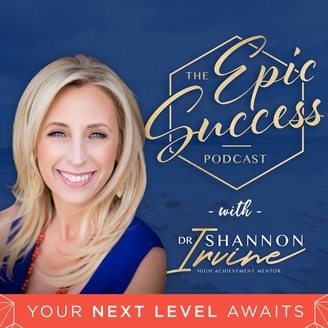 My guest today on the Epic Success Podcast is Tiffany Lee Bymaster aka Coach Glitter, the queen of Live Video! Tiffany helps entrepreneurs leverage live video to share their BIG vision and build MASSIVE visibility! With nearly two decades of experience designing and styling for TV, film, and TOP personal brands, she has seen first-hand that personal and lifestyle brands are BUILT, not born. Building a Personal Brand? Then it’s finally time to STOP HIDING behind the computer screen and step into your greatness! As you heard, Tiffany has taught thousands of entrepreneurs how to build their brand and crush it on live video. Are you ready to grow a highly-engaged audience and take your launches from crickets to conversions?! Join Tiffany’s FREE 3-Part Live Video Training Series!